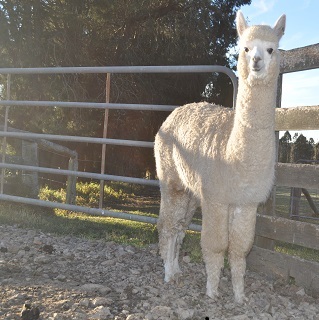 Coolawarra runs many animals for our clients and it would be a pleasure to provide you with a personalised list of stock for sale according to your own special requirements and budget. Please contact us for information regarding sales of weanlings, pregnant females with cria at foot, pregnant females or wethers. 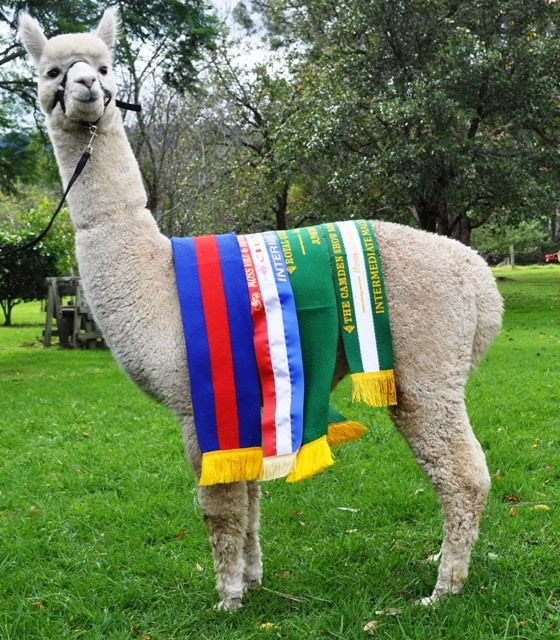 For a comprehensive list of Alpacas for sale please contact us. 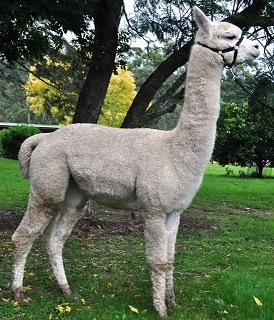 Brief: Enter Coolaroo Casanova, a multi awarded solid white male of beautiful proportions, upstanding, straight backline, very broad bone in pasterns and broad bodied that is typical of his sire, Illawarra Yohimbine Yohimbine is solid white sire of full Peruvian lineage that has been the cornerstone in Coolawarra's breeding programme for attributes of fast growing, thrivability in his crias, bone and conformation and is considered in the SRS system, a classic frame male Violetta ET, Casanova's dam is a compact donor female reknowned in our breeding programme for high quality, well charactered, bright white wools was classed to Yohimbine to strengthen these attributes and the result is Casanova. 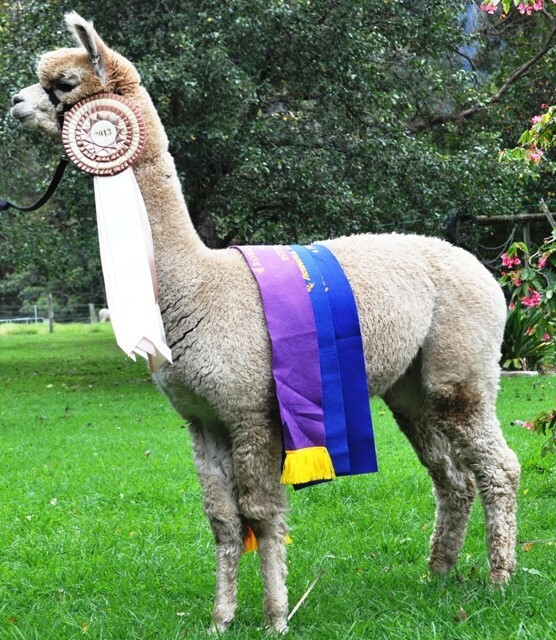 This qualitive young male was Champion Junior Male at Sydney Royal 2013, champion Adult at Mossvale 2014, and at Res at Camden. 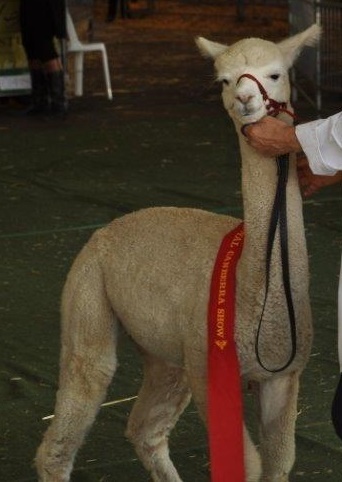 Casanova is keen to work and will ameloriate breeders seeking quality, dense wools, on beautifully conformed animals. He is gentle natured and easy to handle, well trained, and along with his lovely head, presents beautifully on the lead and in the showring. Brief: A male of significant heritage and depth of breeding. Dense, soft and highly architectured across the saddle this compact young male stands to impact any herd with generations of high quality, solid genetics that ensure predictability in your breeding programme. 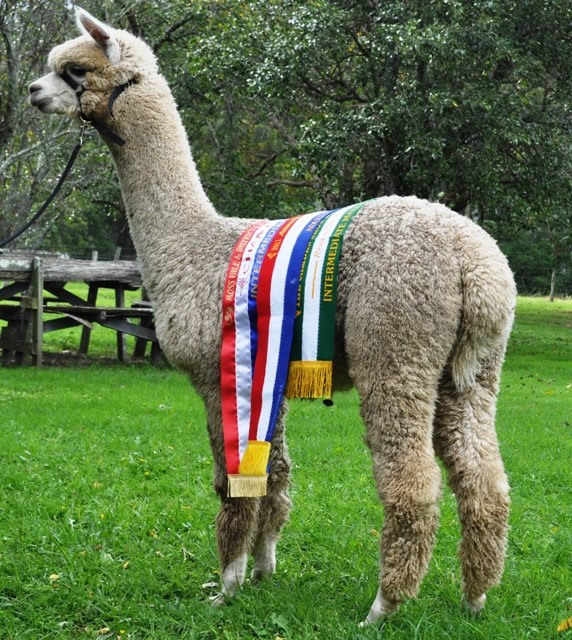 Born by embryo transfer to multi champion winning Coolaroo Miss Minda and mated to three times National Champion Windsong Valley Iceman this exceptional male has true density and at three years old with a micron from his last shearing in October 2013, of 20.8 and CV of 18, with a CF of 98.1 this male has exciting prospects. Brief: Exceptionally dense and long growing the highly aligned, micro stapling structure right across this male's saddle is indicative of advanced genetics at play. 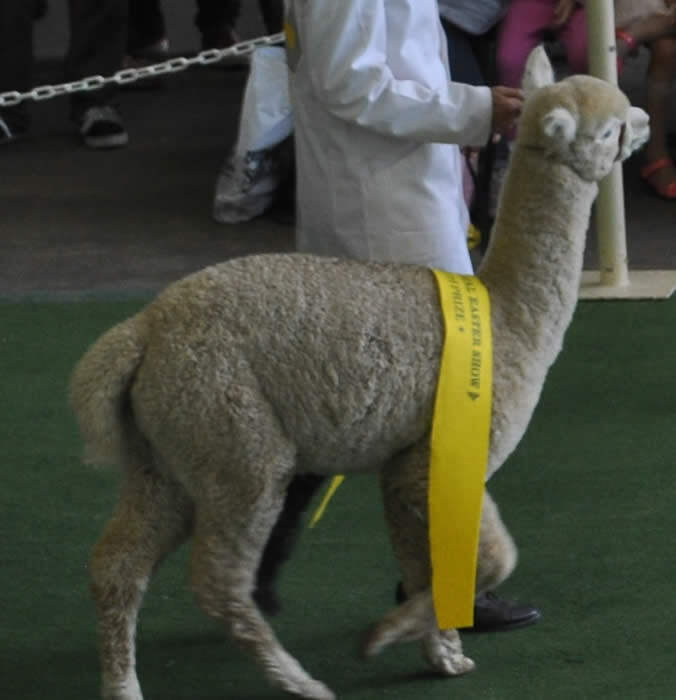 Both sire and dam come from exceptional lineages going back to the best of the Jolimont imports from Peru on the dam side and the cherry picked Highlander from Don Julio Barreda's herd by Clyde and Roger Haldane back in the early 90's. One would surmise both therefore would be full Accoyo. 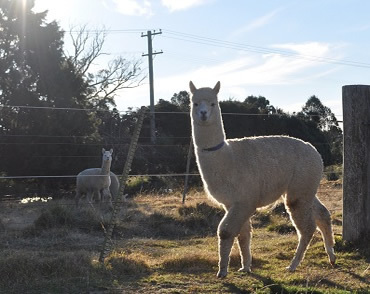 One stands in front of you is a classic, and magnificently woolled alpaca set to make impressions on herds seeking true high density.